Uni started back last week, the painter has returned to the house and I’m trying to get back into the routine of work, study, play, eat, sleep again after the uni holidays! A few signs from the road trip. 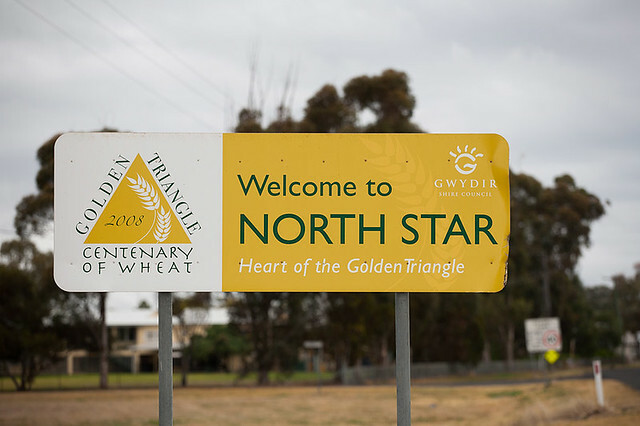 I came across North Star in an address at work a couple of months ago and when I looked on the map to see where it was I decided that I would be stopping in on the way to visit Mum. 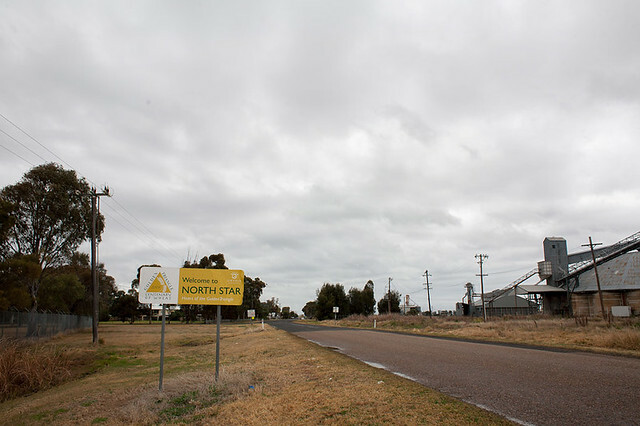 North Star, isn’t it just the delightful name for a town? I do think the town sign should say “Star of the Golden Triangle” instead of “Heart of the Golden Triangle”. If you’re on Facebook with me you may have seen this little ditty I penned about the Newell Highway. If you’re not, here it is. Covers the verge, it’s no bore. 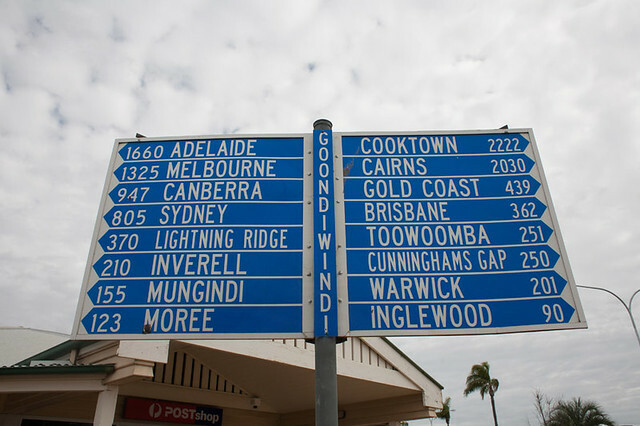 I love signs like this 🙂 I was sort of tempted to drive to Darwin but didn’t know I would make it there and back in the five days I had. 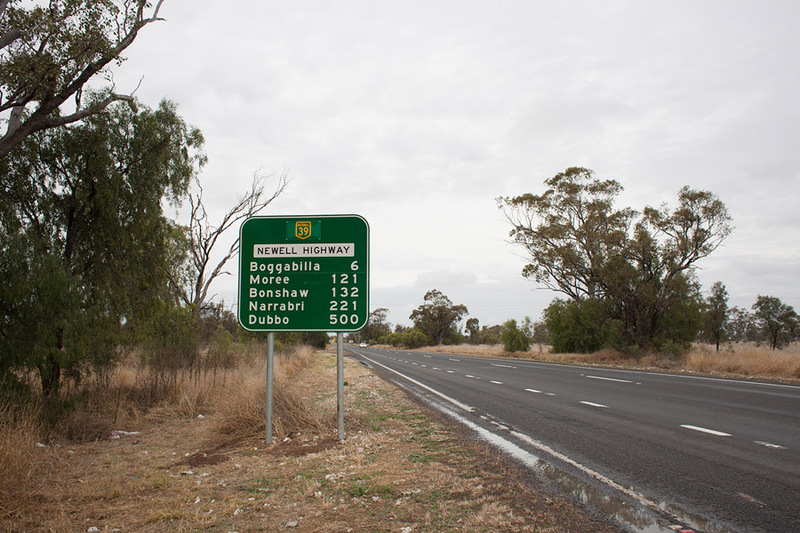 This drive fatigue sign is part of a three part series. 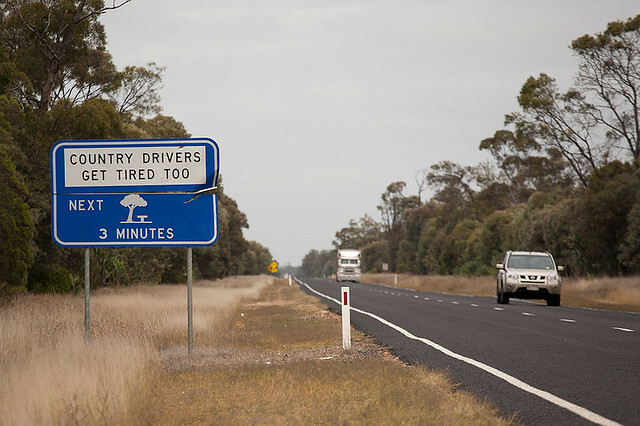 This one though about country drivers getting tired too made me giggle. 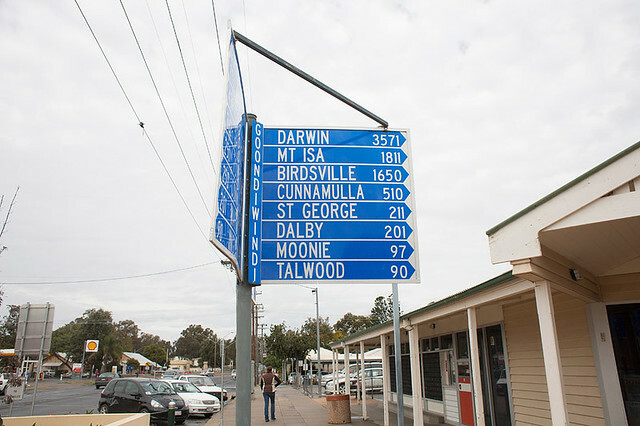 That is a few signs from the trip. I’ve got oodles of photos of buildings and op shop finds to post yet. Ornamental brickwork! Pressed tin ceilings! Gorgeous Art Deco and Modernist shops, hotels, town halls and more. I am glad you came to me instead of Darwin! !